The Legion Series now extends to the micro-compact pistol lineup. We just got in some of Sig's NEW P238 Legion pistols. 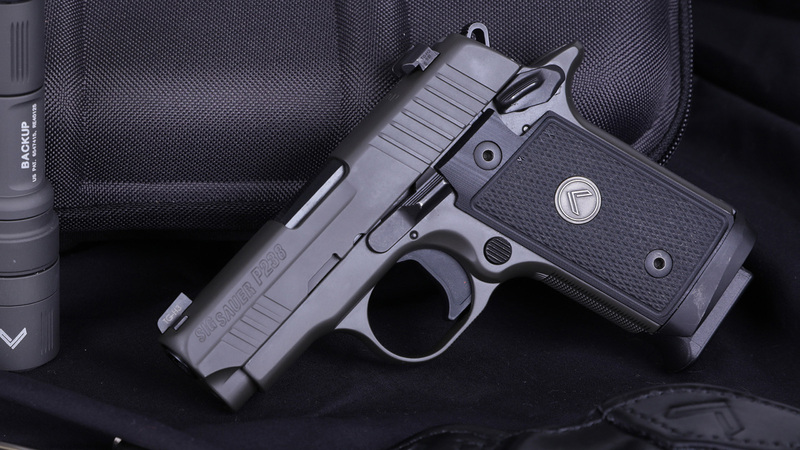 The Legion P238 features the distinctive Legion Gray finish in Cerakote Elite. The P238 Legion includes a new precision machined aluminum trigger and aggressive trigger guard checkering along with an ambidextrous thumb safety. The slide features front cocking serrations and X-RAY3 Day/Night Sights. The grips are Legion Black G-10 grips with an embedded Legion medallion. The P238 Legion comes with an extended magwell ready to accept magazines for faster reloads. Become part of the Legion for members-only access to unique opportunities and gear, tailored to meet your elite requirements. After purchasing a Legion Series firearm, you unlock a full range of exclusive benefits.